As the 1950s progressed the British motor industry offered an ever more exciting range of sports cars. At the beginning of the decade the sporting motorist could buy a Morgan, an MG TD or a Jaguar XK120, to name the principal models – two of them stalwartly traditional in character and appearance, one of them outstandingly modern in looks and performance. Then, in 1953, the Austin-Healey 100 arrived, sleek and low, followed shortly by the TR2. Both found a ready market at home and, particularly, in the United States, and both were the ancestors of long-lived families of sports cars. 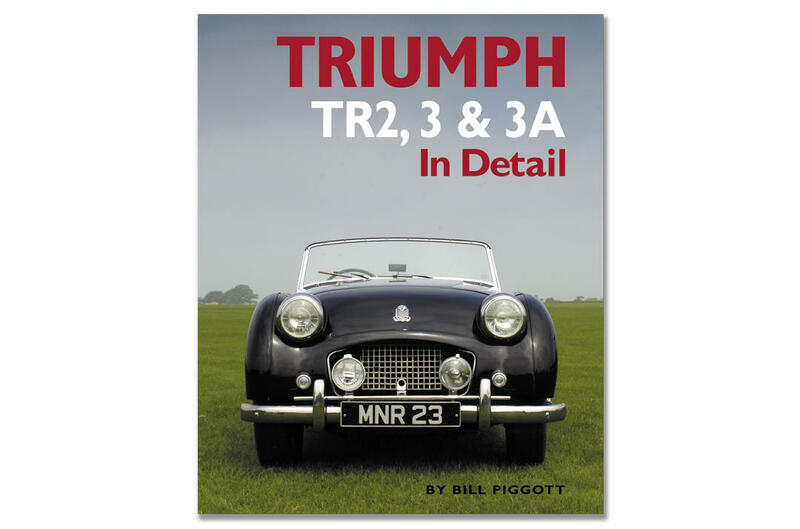 The subject of this book is the TR2 and the “sidescreen” TRs that were directly related to it, the TR3 and the TR3A. These cars were powered by versions of Standard-Triumph’s wonderfully robust wet-liner Standard Vanguard engine. Designed to propel a large and heavy saloon, when tuned and dropped into the light chassis and minimal bodywork of the TR this unit provided excellent acceleration and unmatched durability, while also endowing the TR with very long legs – particularly in overdrive – and surprisingly modest fuel consumption. In character the TR was classically a sports car: the cockpit was well laid out, the bucket seats supportive in corners, the dashboard fully instrumented, the gearlever stubby, the weather equipment rudimentary. The exhaust had the right burble and the ride was hard. The recipe was right, and the car was also cheap and practical. The TR2 was an instant success, and with the improved TR3 and TR3A versions the model went on selling strongly until 1962. Today, of course, all these TRs are among the most desirable classic sports cars of their era. The author opens with an exposition of the background to the creation of the TR2 via the unsatisfactory TS20 model exhibited at the 1952 London motor show. Then comes a detailed technical description and analysis of the TR2, covering all aspects of the chassis, running gear, engine and transmission. This sets the scene for subsequent chapters on the TR3 and TR3A, each of which receives comprehensive treatment. Also provided is extensive coverage of the TRs’ successful participation in motor sport, including Le Mans and international rallies, and comparisons are drawn between the TR2s and 3s and rival models like the Austin-Healey 100 and the MGA. Finally there is advice on the practicalities of owning and using the cars today. Outstanding examples of each model have been specially photographed for this book, and these pictures feature alongside approximately 250 illustrations drawn from the archives and from sales and publicity material. In its in-depth examination of these splendid sports cars this book offers an unrivalled store of knowledge for the many owners and enthusiasts who cars passionately about them, and serves as a tribute to the men who made them.